Who are the courses addressed to? Our educational courses are primarily aimed at young people and young adults, especially schoolchildren and students. Selected formats are suitable for students from 5th grade onwards. Whether half-day excursion or project week: All educational offers are modular and can be combined as desired. Complementary museum visits, excursions and other activities in the surrounding area are available for projects at the International Youth Exchange Centre. We will be happy to advise you on the conception of an individual educational programme in the Documentation Centre. We offer guided tours in German, English, Polish, Russian, French, Italian and Serbo-Croatian. Workshops usually take place in German or English. On request, we can arrange teacher training and special guided tours for people with visual or learning disabilities. Please do not hesitate to contact us. Our educational offers start from the historical place. 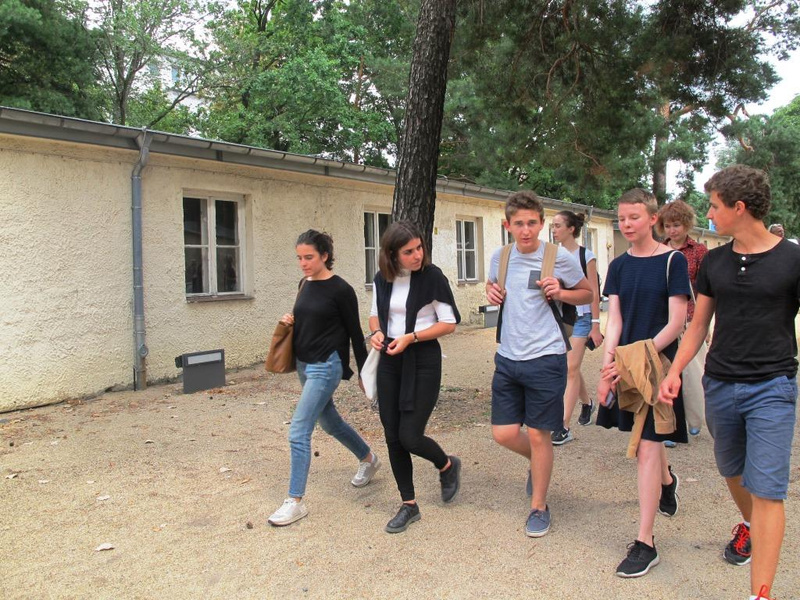 The former forced labour camp offers a unique opportunity to actively explore the history of the Nazi regime: on the premises, in "Baracke 13", with documents, photos, objects or at meetings with contemporary witnesses. Active participation is important to us. We motivate the young people to develop and present content themselves, for example in presentations, exhibitions or scenic readings. In this way, we want to promote independent appropriation and critical examination of history.